This is an authentic Firestone 34x4.5 Indy tire. Coker Tire Company used original development drawings to re-create these classic Firestone Indy tires. 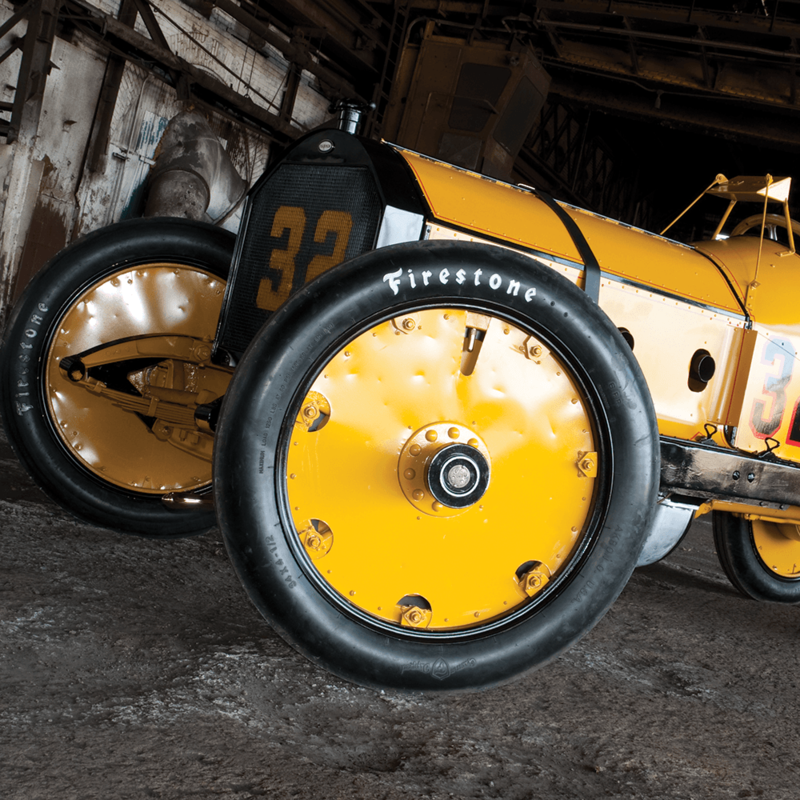 The 34x4-1/2 sizing is authentic to the Marmon Wasp, winner of the inaugural Indianapolis 500 in 1911. 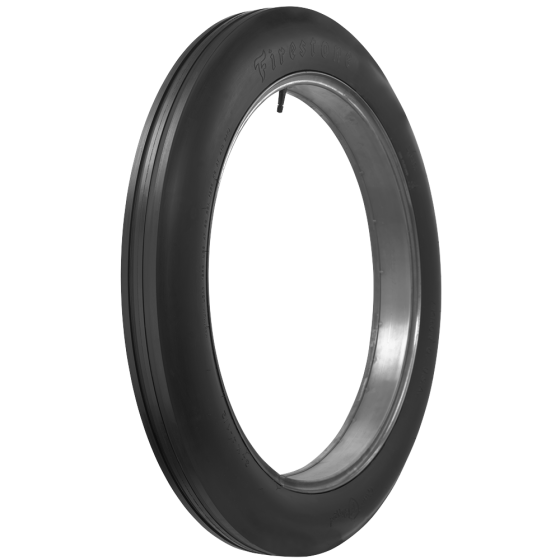 These tires are 100 percent accurate, from the ribbed tread design to the size of the Firestone lettering. 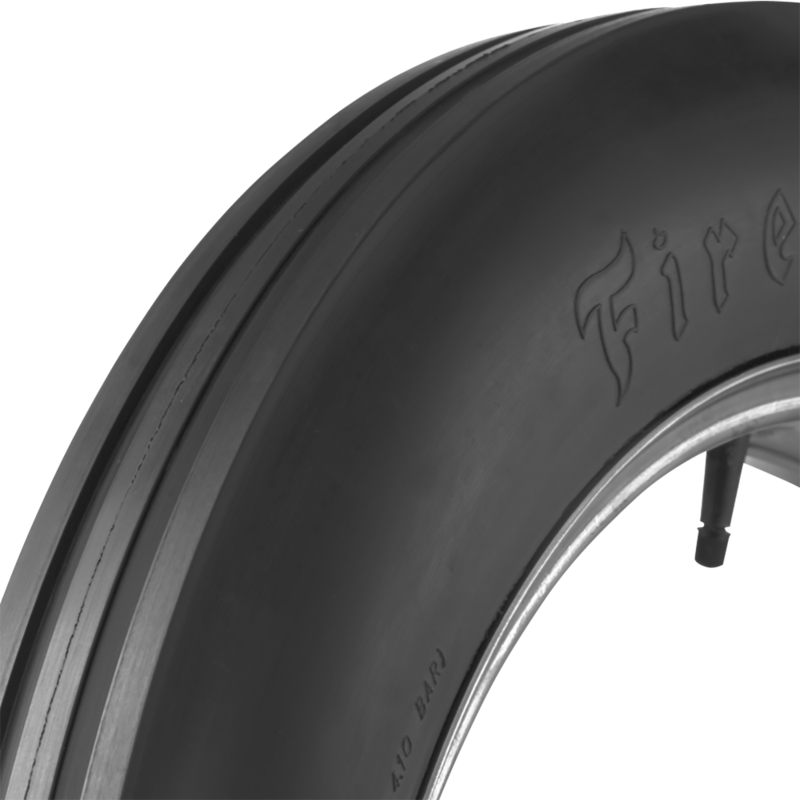 Firestone Indy tires come in blackwall form, but paint markers are available, so you can paint the letters for the authentic look. These are outstanding tires for a restored vintage race car. These tires are made in the USA, and they feature a four ply nylon construction. What is the speed index? 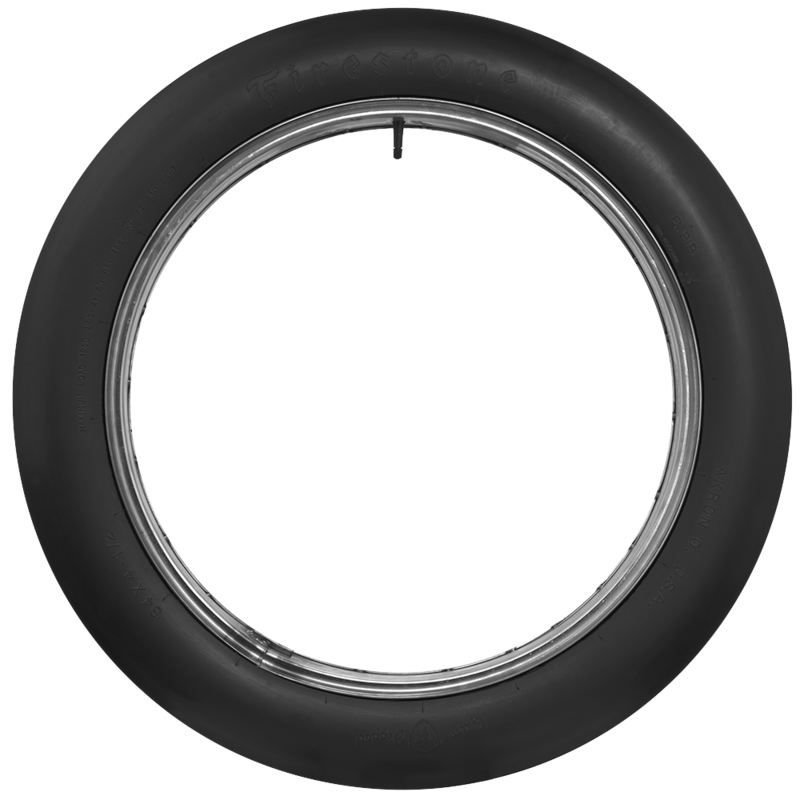 These tires are considered vintage race tires and have not been tested for a speed index. They are not DOT approved for use on the street and should be used for vintage race car applications only. What wheel diameter do these tires fit? See "specifications" for rim diameter, as well as all other relevant dimensions. do you also have this tire dimension in white instead of black? Thanks for reaching out! This tire size is only available in black wall.